This worksheet can be used as an extra resource for your students. There are some filling the gaps using the highlighted vocabulary. 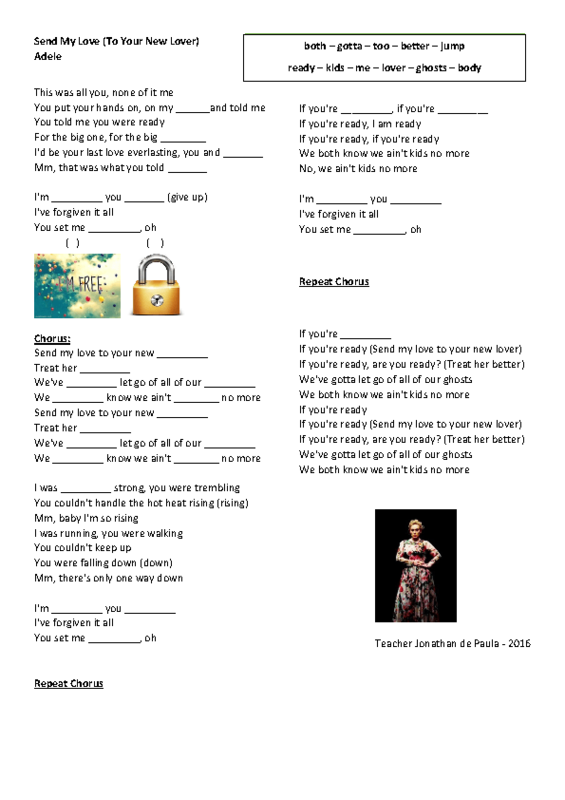 For my classes, I usually play the song after introducing and repeating the vocabulary with the students. You can also explain the difference between free and locked. Hope your students enjoy this wonderful 2016 Adele's song.